HomeTeamDallas/Fort Worth MetroplexDiana Martinez, Ph.D.
Diana Martinez has collaborated on consulting projects with over 40 small and medium companies in the Dallas / Fort Worth area including manufacturing, healthcare and government organizations. Projects have included: Lean manufacturing implementation, analysis of manufacturing operations, facility layouts and warehouse capacity analysis. Benefits of these projects have included: improving service response time, increasing productivity, reducing costs and developing skilled workforce. Additionally, Diana is a Lean Six Sigma Coach and Instructor. Diana has participated in a Lean transformation of a health care organization using the Lean Six Sigma DMAIC methodology. She has contributed in an inventory analysis identifying parts to implement a Kanban system. She has developed process maps and defined standard times to determine margin on different product lines. Diana has also directed a Predominant Utility Usage Study (PUUS) for the customer to be exempt from sales tax on utility bills. In addition to this, she has assisted in the auditing process for the customer to achieve the ISO 9001 registration, performed process operation analysis and proposed an optimal facility layout for business expansion. She has over 10 years of experience in different types of industries. Diana has taught over 15 LSS classes including: Black, Green and Yellow Belt since 2015. During this time she also provided coaching to many LSS students to complete their projects and achieve their certification. Diana has been involved in the development of the LSS program at the City of El Paso and has participated in several continuous improvement projects there. 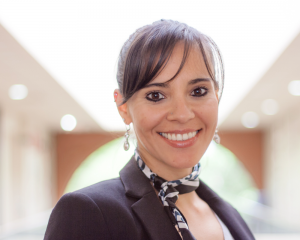 Diana received her M. S. and Ph.D. in Industrial Engineering from The University of Texas at Arlington in 2013. Her doctoral dissertation was on, “Variants of Multivariate Adaptive Regression Splines (MARS): Convex vs. Non-convex, Piecewise-Linear vs. Smooth and Sequential Algorithms.” The research focused on the study of an advanced statistical method called Multivariate Adaptive Regression Splines (MARS) and the development of variants and sequential algorithms that provide more flexibility to the modeling process and facilitate the optimization routines. Prior to working at TMAC, Diana worked as a Manufacturing and Project Engineer at Parkway Products de Mexico S. de R.L. de C.V.